I have mentioned it before-this idea of white space. While I know it, I seem to struggle to use it, well at least consistently. In marketing, white space is used to provide the reader a place for their eyes to “rest”. This resting of the eyes gives you time to process the content of what you just saw or read before moving on to the next item. Rest, the ever illusive state of being we all seem to long for, even need. I have been following along with the “31 Days of Less and More” by Edie Wadsworth at http://www.lifeingraceblog.com and Ruth Soukup. In the end, less of anything means more time for rest, for appreciation, for thought. Less indeed leads to more of life, as we create space, opportunity and time. 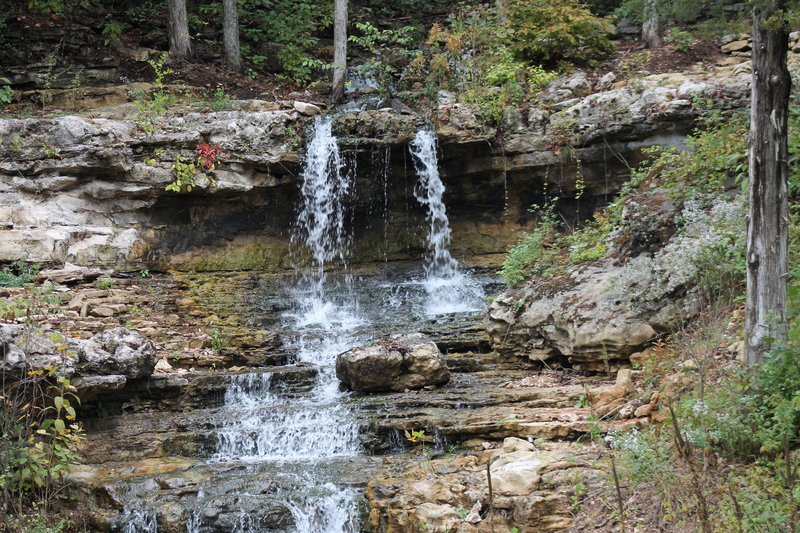 This past weekend we took a trip to Big Cedar Lodge and Resort in Branson, MO. One of our favorite places to visit. We have been taking the girls since they were three. We have lots of family memories at this beautiful mountain resort. 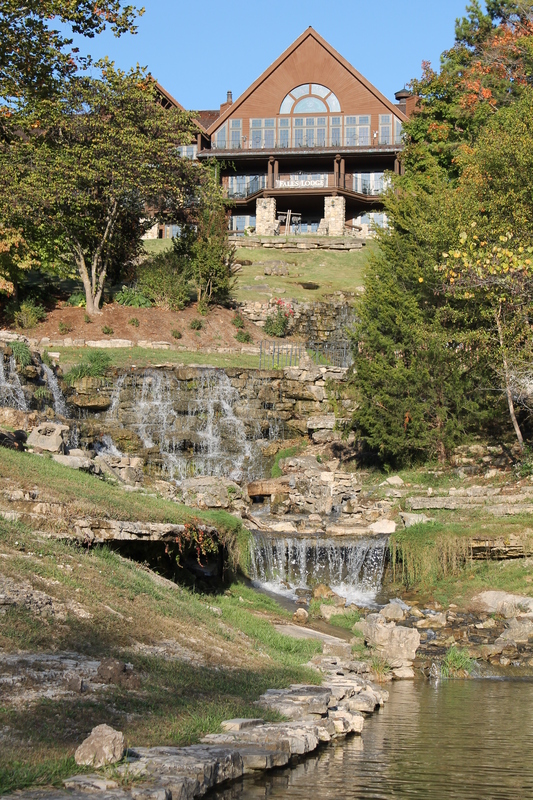 As I sat on our porch overlooking the waterfalls, newly constructed wedding chapel and lake, I felt peace flood over me. Crisp air to breathe in. Time to pause. That’s what makes Big Cedar so special. Yes, it is a beautiful lodge resort, but more importantly while there, the calendar is blank. There are no scheduled activities. It is as if life is put on hold for a brief three days. And in that space, we breathe, we rest. Shuffle board, putt-putt golf, board games and campfires are the greatest source of entertainment. We play without distraction, we eat, we rest. I am reminded again how important this white space is. While these longer opportunities for rest arise, I must daily practice putting white space into my calendar. I must give myself that time to ponder, reflect, transition or simply rest. Life doesn’t have to be so hurried. We, I, choose that. I pack my day full of activity, leaving not time in between to rest. I over-commit. 1. Start the day in God’s Word. Give Him the best of my day, those morning hours before the family is up. Those morning hours when I am fresh, without angry thoughts, hurt feelings or frayed nerves. 2. Schedule 30 minutes to eat breakfast with my children. I will focus my attention on them, not e-mail, not T.V., not Facebook or Pinterest. 3. A minimum of 15 minutes will be left open after each appointment or task assigned to a specific time. 4. Schedule 30 minutes of “free time” before picking the girls up from school. These moments are for catching up, getting ahead on dinner or simply sitting a breathing to improve my state of mind. 5. Schedule 15 minute breaks for the girls during homework. Teach them to rest, refocus. 6. Schedule 30 minutes at the end of the day for a daily check-in regarding the next day’s schedule/needs and to pick up items scattered through the home.